After doing the TriForce Heroes joint review, I thought it’d be fun to do write reviews of several video games in this shorter format, and rather than posting them individually, I’ve condensed them into one for your reading pleasure. Enjoy! 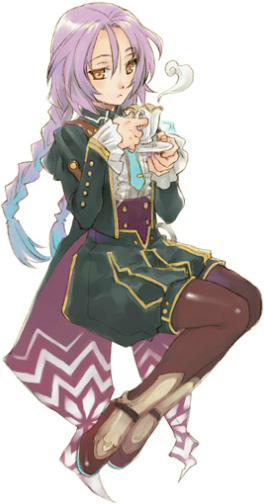 The story of Rune Factory 4 isn’t very complicated or deep (what a shock, Venti’s in danger yet AGAIN! ), but it does have surprising twists that make it interesting and worth playing through. But the thing that really makes the game shine is your character’s interactions with the rest of the townsfolk. The characters all have unique and interesting quirks that make them distinct and worth helping. In particular, Clorica is easily my favorite character in the entire game. She tends to fall asleep constantly, and it’s very amusing. Not only that, but the dating and marriage events for Clorica were surprisingly emotional and deep, and that made me all the happier with my decision to pair my male avatar with her. There’s always something to do in the game, from farming to exploring to dungeoneering. The backgrounds look pre-rendered, and it’s a style I appreciate seeing in games. Some of the dungeons are insanely long to complete, and the difficulty spikes are very sudden. I’m playing the game on easy, and yet I’m constantly struggling against the enemies and bosses. The game’s marriage events are triggered at random, and while there are tricks to help the chances of getting them, it’s still a time-consuming process. Spending all day resetting the game in order to trigger a specific event isn’t fun and takes away from the natural progression. Finally, sometimes the graphics aren’t as strong as they could be. Like every morning when my avatar and Clorica hug, their heads clip through each other, and I go from thinking the scene is super cute to terrifying. Luckily, the rest of the game doesn’t have this problem, but it’s still jarring every time. Rune Factory 4 was everything I expected from a Harvest Moon spinoff, with emphasis on creating meaningful relationships with the townspeople, tending to the farm, and slaying monsters. The character portraits are all fantastically drawn, and the animated cutscenes are great. In contrast, 3D graphics are only decent in comparison, but overall the game is really fun and definitely worth the purchase if you’re a fan of games like Animal Crossing, Harvest Moon, and Fantasy Life. Here’s a Nia – I mean a Clorica – for you. Good day. Designing the houses is super fun and pretty addictive as well. New furniture is always unlocked for every house designed, and it really encourages players to do as much as they can in the game. Also, being able to design both the interior, exterior, and landscape of the houses adds a lot of variety to the types of furniture that can be unlocked and promotes a lot of creativity. The monthly DLC is also worth looking into since they also unlock exclusive furniture (I’m only slightly a furniture hog). The touch screen is also a huge improvement, allowing the player to move furniture precisely with the stylus (or in this case, my finger), and I can’t imagine going back to the old way in later Animal Crossing installments. While designing the houses is very fun, the prompts can get a little repetitive and tiring after a while. There’s also no real consequence for not following criteria, as the game forces you to have at least the required items in the house before finishing. The graphics look very nice as they did in Animal Crossing: New Leaf, but they are a bit stuttery at times. Finally I wish that the game had more options for buildings to design – the options the game provides are pretty fun, but I would have liked to see more variety, like designing an airport or a gym. 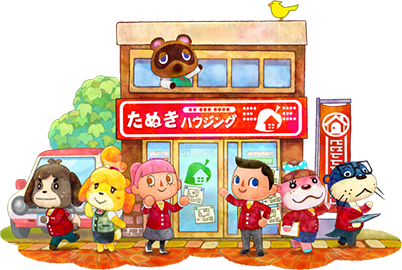 I really enjoy the emphasis of designing in this spinoff, but I have to imagine that many of these features will show up again in future Animal Crossing games. But even if it is a one-off, it’s a very fun one at that, and it’s best played in short spurts. If you enjoy decorating your house in the main Animal Crossing series, then it’s safe to say that you’ll like it here too. Much like any other Pokemon game, Omega Ruby/Alpha Sapphire has a lot of the same conventions – battling easy gym leaders to get seven badges, annihilating the bad organization single handedly as a ten year old, and going down in history as the Champion for destroying the Elite Four. The same familiar stuff, but thanks to the upgraded 3D graphics and features, Omega Ruby/Alpha Sapphire is still worth playing. The music is good as always, Steven is cool, and the secret bases are fun to customize and worth investing your time in – especially when you exploit them to train your powerhouse team. While a lot of the familiar things about Pokemon have had some improvements thanks to graphical updates and music remixes, this game still suffers from an over-the-top story that all rests on the shoulders of a ten year old. At some point, when the same formula is being hashed repeatedly, I start to lose my suspension of disbelief. Can’t we just up the age a tad? Maybe make the story more realistic and believable? I don’t mind the overall Pokemon formula, but it’s always these aspects of it that make me cringe a little. I’ve always enjoyed playing the Pokemon games, and while the redundancy and lack of realism is unfortunate, the prospect of catching Pokemon and raising your ultimate team makes it all worth it. This remake does a lot of things right, improving upon the original while implementing features that could easily be featured in future Pokemon games. 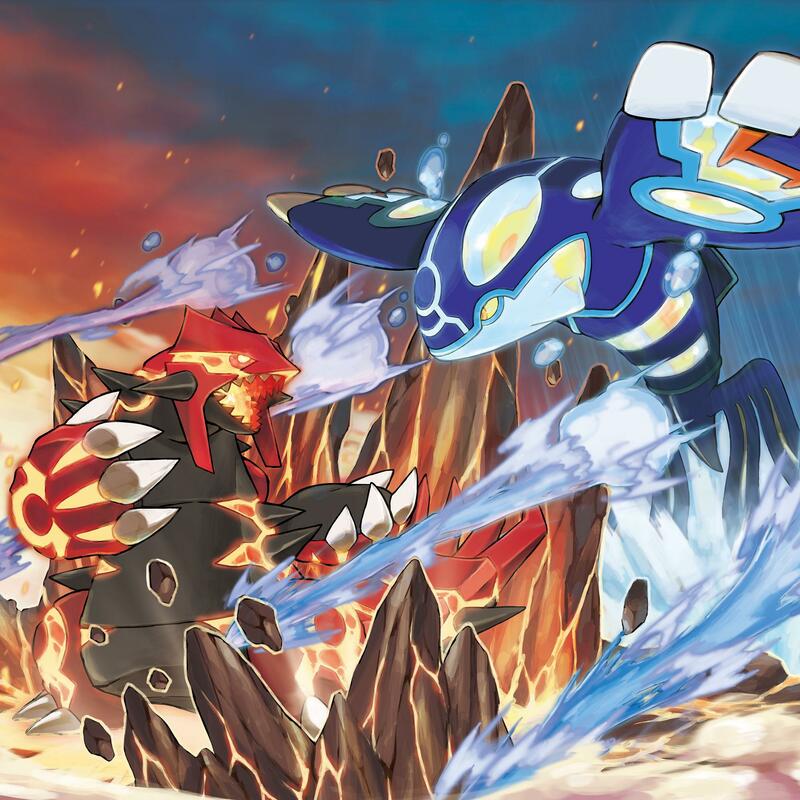 If you’ve enjoyed the Pokemon series up to this point, than Omega Ruby/Alpha Sapphire is worth the time. Fire Emblem Fates is a lot of fun, and the replay value is insanely high. Both of the story modes are very different from each other, offering exclusive features for the player to use. The soundtrack is really strong as well. The characters prove to be one of the strongest parts of the game, with many unique designs and interactions. I enjoyed the story and challenge of Conquest more than Birthright, but Birthright has a lot of features that still make it enjoyable to play as well. The online features are nice options for the player to expand on their resources and skills. The new classes featured in the game are quite diversified as well. The cutscenes, while very limited in number, are wonderfully animated and nice to watch. The stories on both sides are only okay, lacking the intense and memorable moments that Awakening had. The level of censorship is pretty apparent, and while I’m of the camp that thought the “petting” feature was creepy, I also question the point of it being removed since the game still has some of those elements and could have been ignored. 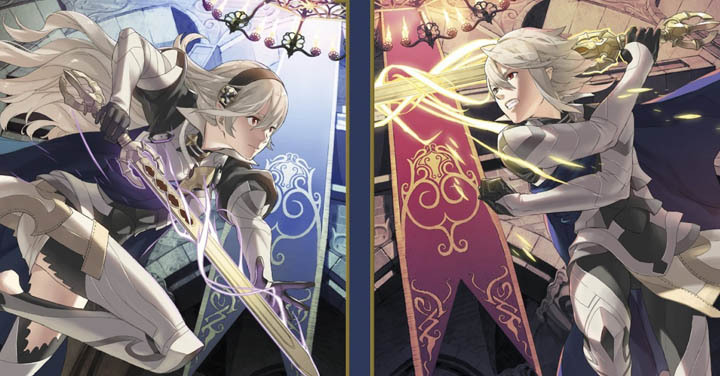 Fates is enjoyable, but many of the changes it made from Awakening feel like a downgrade, losing some of the charm and great game design that Awakening featured. I also found that some of the supports weren’t very original or interesting (is the only thing anyone can talk about in Birthright TRAINING?! Find a new hobby! ), and because of it they weren’t as satisfying to explore. Finally, I appreciated the return of Inigo, Severa, and Owain, but I felt that combined with the other tributes to the popular characters to Awakening, it was excessive. These “new” kid characters look the same, have an anagram of the character’s name, and their personality? It was too much of a tribute to a single game. Fates may not compare to the perfection and obsession that was Awakening, but it’s still a solid entry in the series that is worth playing if you’re a fan of the series. It’s challenging, the characters are likable, and the story is pretty good as well (even though the whole raising-kids-in-different-dimensions thing did raise a lot of questions – next time, maybe just stick with a time jump if kids are going to be featured again), and ultimately, it makes me excited to see what more the series will have to offer in the future. Nice mini-reviews! Out of the games you reviewed, the only one I haven’t played is Rune Factory 4, but after reading this, maybe I should give it a try! Glad to hear it! 😀 Rune Factory 4 is pretty good, especially if you’ve played games like Harvest Moon or Animal Crossing and like interacting with the different characters.